Better late than never! 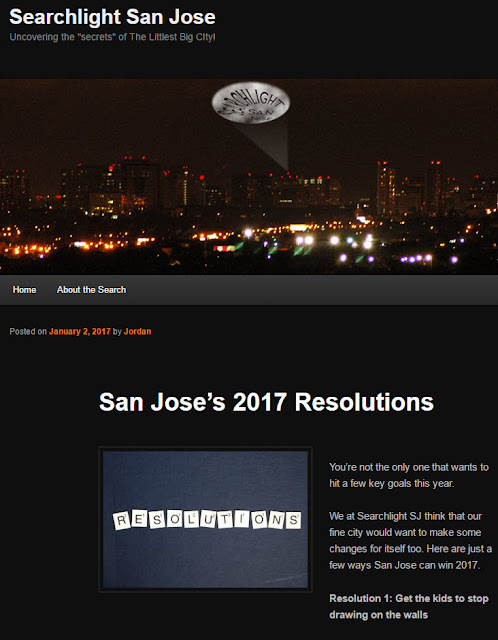 I have been meaning to post a link to Searchlight San Jose's list of New Year Resolutions. I agree wholeheartedly with all five items on the list, especially #3 (Get another Michelin Star Restaurant). To see the list for yourself and add your own items, just head over to Searchlight San Jose.